The mid-terms have brought out some great typography. Some, not-so-good. And a hell of a lot of Gotham. Politicians seem to grasp design and branding about as well as they understand other complex subjects, like immigration or tax incentives. They seem to agree that design is an important thing to have, like a nice wardrobe, but few campaigns embrace design’s nuance or actual power. In an arena where candidates look for any electoral edge, not many have adopted a sophisticated design approach. Is this symptomatic of a larger issue in government—that our leaders are out of touch with a 21st-century digital society that has fully embraced design as a problem-solving and communications tool? A review of current political design suggests as much, and exposes interesting parallels with the state of politics and the divides in American society. Politics on the left and right sides of the spectrum have become more candid, and many candidates are making their allegiances and perspectives more visible through their campaign branding. As a new generation of design-literate politicians begin to join the national stage, we expect to see more intentional uses of design in politics. Several candidates, both fresh and familiar, take a distinct and contemporary approach to typography and color. Beto O’Rourke, Renee Hoyos, and Deb Haaland are just a few of this year’s contenders using unique fonts to signal that they stand out from the herd. The intention of these choices is to set the candidates apart from the two major parties. In an election year when many candidates across the country won’t even list their party affiliation on their website, unexpected typography and colors join forces to capture the electorate’s anti-institutional sentiments on both the right and left. Deb Haaland seeks to make history as the first Native American woman elected to Congress. 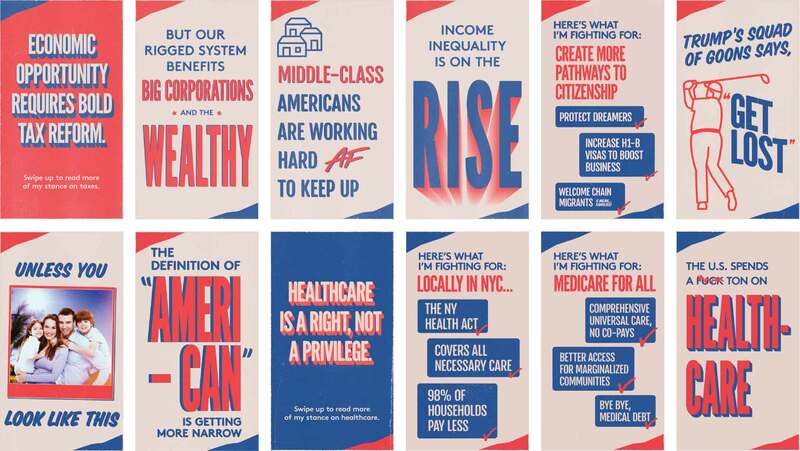 The distinctive typography of her campaign strikes a balance between retro and contemporary in a similar fashion to New York candidate Alexandria Ocasio-Cortez. However, inconsistent application and less confident secondary typography muddy the overall effect. 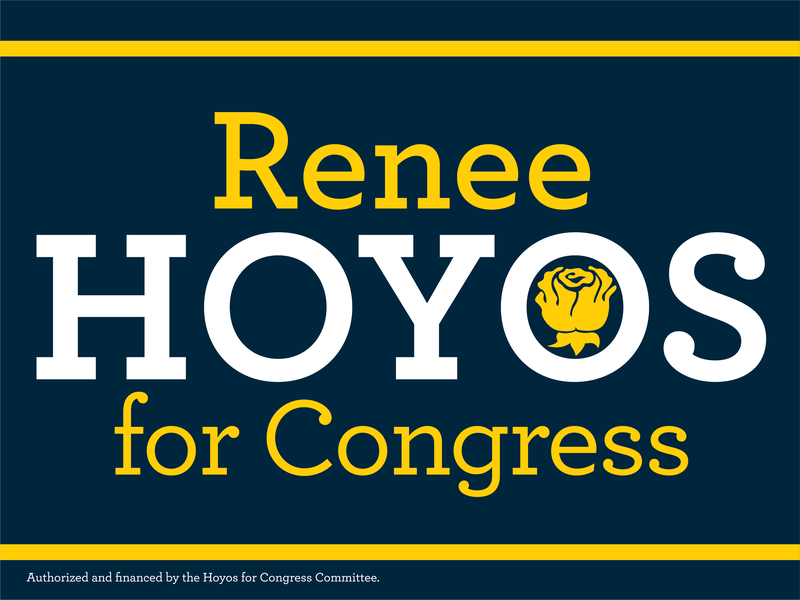 Renee Hoyos’ campaign’s use of Archer might seem a safe choice since it’s basically Gotham on serifs. Yet, when you consider that Archer is frequently used in more traditionally feminine contexts, it becomes a bolder statement. Adorned with a suffragist rose and painted in a palette that signals her environmentalist past more than her political future, the design sets a progressive tone for her campaign. Beto O’Rourke’s campaign is uniformly branded with a slender faceted typeface that feels sophisticated, strong, and contemporary while also having just enough of a Western undertone. Equally bold is the campaign’s strictly black-and-white, non-partisan color palette. For several Democrats like Richard Cordray, Janet Mills, and Brent Welder, the intent is clearly to align themselves with the 44th President. But for most others (including a number of Republicans), the all-caps, geometric sans comes across as a faded photocopy of Obama’s campaign graphics. It bears a muddied impression of the original, but without the comprehensive design application and sophisticated, optimistic messaging that made Obama’s 2008 campaign so sharp. This is particularly true when a campaign uses similar geometric sans that only vaguely resembles Gotham. Campaign logos for Brent Weldder, Janet Mills, Krist Walz, and Molinaro Killian. The application of Gotham has quickly become rote as well, with the logos formulaically dividing names with either contrasting weights or two colors. The font’s G is clearly attractive to many gubernatorial candidates. In more than one state, the race for that seat is so crowded with Gotham and near-Gothams the candidates start to blend together. We hope to never see Gotham again after researching this article. After 9/11 “patriotism” became a wedge issue. Politicians who didn’t pin a flag to their lapel (as Barack Obama in 2007) were dubbed unpatriotic by their opponents. In this climate it became rare for Democratic or Republican national campaigns to deploy a color scheme that deviated from red, white, and blue. Ironically, by making the flag a partisan political symbol, its colors now feel somehow less authentically American. American-flag colors still predominate, but 2018’s most interesting campaign design trend is an embrace of non-traditional color schemes. In a year with an influx of non-traditional candidates and a rise in dissatisfaction with both major parties, some candidates have made color and typography choices intended to set them apart from Washington’s entrenched old guard. Many of these are first-timers, women, and progressives who are unafraid to dress their campaigns in yellows, purples, greens, oranges, and cyans. Candidates such as Cori Bush, Ben Jealous, and Amy Vilela have followed a nomination path outside of the Democratic establishment, and they wear it on their sleeves. Brand New Congress, a progressive group that believes “we need legislation not dictated by party,” is backing several first time Democrat candidates. Their brand color, a purple unaligned to any party, has been adopted by several of their candidates. For St. Louis’ Cori Bush, the nontraditional palette fits her activist’s stance against “baby steps” policies and background in people-first community work. Democrat Amy Vilela’s run for office was perhaps the most colorful of 2018. Her campaign used colors inspired by her state’s landscape to bring personality to her grassroots campaign and lightness to a heavyweight sans typeface. Typography aside, Candidates use color to signal their focus on local issues. Establishment GOP candidates Allan Fung of Rhode Island and Brad Little of Idaho derive their brand colors from the Rhode Island state flag and John Deere tractors, respectively. The 2018 campaign season is a big year for new candidates—with a record number of women running for higher office. Many have very personal motives for running, including the desire to disrupt a system that favors wealthy white men. As a result, their campaigns look more personal and human than the designs typically produced by Beltway marketing firms. A surprising number of national candidates use script lettering and fonts to soften the corporate quality that predominates in modern campaign branding. In Ohio alone, two candidates, Jill Schiller and Mike DeWine, both deploy Pinterest-friendly scripts. Just as notable is a minor trend of logos that incorporate the candidate’s signature. Is there a better way for a politician to imply honesty, trust, and personal responsibility? However, when the signature is clearly a simulacrum (such as Senator Johnny Isakson’s font-like interpretation), it risks highlighting the manufactured, inauthentic quality of most contemporary candidacies. The last few years has seen an increase in politicians attempting to add a personal touch (to varying degrees of veracity) to the look of their campaigns. Personality shines through the logos of many new campaigners. An outsider’s stance, a doctor’s warmth, a past baseball career, and even an aerospace engineering background are reflected in a crop of illustrative and colorful logos dotting the 2018 landscape. Candidates Linsey Fagan and Patrick Colbeck went as far as fully art directing their marks down to the shapes of stars. Is this candidate the total package? The quality of graphic design seems to be growing in major political campaigns from coast to coast. Most candidates now use template-based websites that provide respectable (if generic) typography and UX design. We’re seeing fewer cringe-inducing logos from 2018’s congressional and gubernatorial candidates. In a few instances, some campaign design even transcends politics to become good design. We first wrote about Alexandria Ocasio-Cortez’s campaign design for The Washington Post. The rebellious, people-driven spirit of this young progressive’s personal story is reflected in her designs, and it’s deployed consistently and memorably, like a focused marketing campaign. While good design played a supporting role in Ocasio-Cortez’s primary upset, it’s only part of the recipe for a successful campaign. And in some cases, it might even risk alienating voters who are skeptical of politicians who seem too slick or branded. Ocasio-Cortez’s designs clearly reference 20th-century leftist propaganda posters, and her poster’s color scheme and Heroic Everywoman photo evoke the iconic “Rosie the Riveter” poster. Simultaneously, the designs could also double as fresh subway posters advertising a new app or Netflix series. Consistent brand application multiplies the force of this great design. Trendy type-heavy designs for Suraj Patel who lost the Democratic primary, gave his campaign a youthful, of-the-moment relevance that helped draw over 18,000 votes in a short 5-month campaign. A unique twist on red white and blue that included a — dare we say it — Millennial Pink helped unite Patel’s campaign collateral. Gavin Newsom may be the only candidate in 2018 with his own custom alphabet, a multi-tone adaptation of Latino Type’s Arquitecta. The glimmering headings lends Newsom’s messages a flashy, smartly-designed optimism that matches his campaign’s affinity for the tech industry. Where are all the designers? Unsurprisingly, many of the best branded and designed candidates are based in New York City and California, America’s coastal design capitals. This clearly reflects the expectations of their design-savvy constituents. On the other hand, North Dakota’s Heidi Heitkamp also plays to her audience with a logo that resembles a farm machine plaque. Design reacts to the context of where it lives, and as technology increases the design literacy of all Americans, perhaps these coastal early-adopters foreshadow the look of campaigns to come. For all the focus on digital and television ads, the most-effective and most-visible brand expressions are still the ones that involve social proof. Tried-and-true bumper stickers, T-shirts, yard signs, banners, and related campaign rally branding are all amplified through supporters’ grass-roots enthusiasm. And the sharing of campaign videos and posts on social media has a similar effect across online communities. 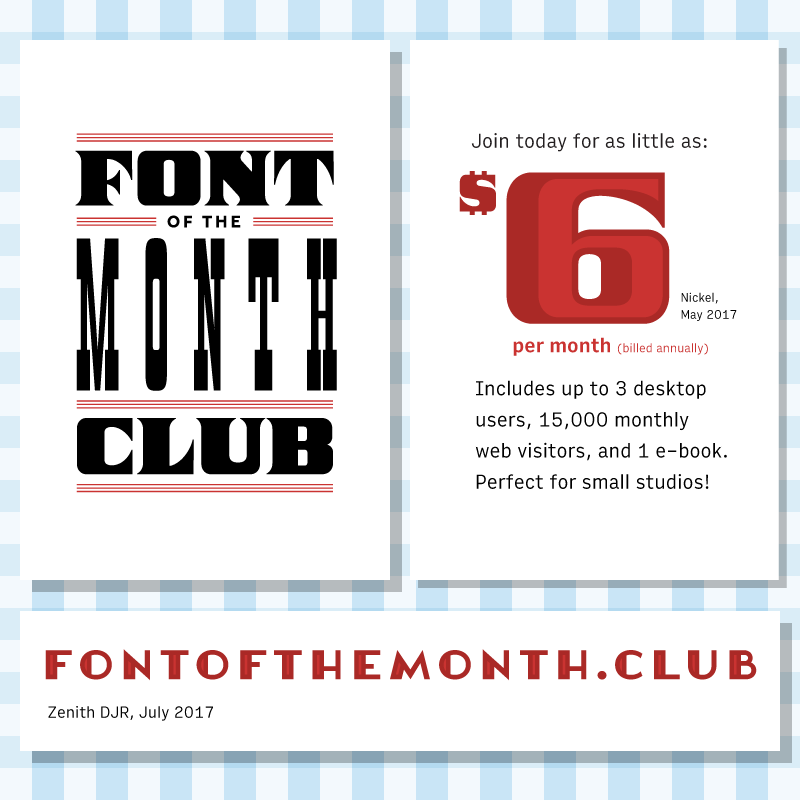 Within these brand applications there is a slowly growing trend toward better typography, and even a few examples of great design and branding. The Creative Caucus, a group which pairs energized graphic designers with Democrats and progressives, launched the Patel campaign. Older agencies like Wide Eye Creative and Georgia’s Stoneridge Group continue to elevate the brands of establishment candidates. As the public grows more weary of the money-driven corporatization of politics, it wouldn’t be surprising to see some intentional unbranding among the future grassroots candidates. Hand lettering, anyone? Of course, for all the nice logos and hip fonts on candidates’ websites, many of their signs, banners, and collateral default to whatever fonts and colors the local sign shop felt like using that day, much to the benefit of their opponents. This visual discord isn’t much different from the election cycles of 50 years ago. But the trend is drifting incrementally toward more comprehensive and better design. Of course, the voters will decide whether this design-consciousness becomes a movement. If they win — if candidates who invest in and insist on striking and consistent graphic design are elected — there will be a rising clamor for expert typographers and brand designers in 2020.